A business proposal letter is an invitation to another party for collaboration. 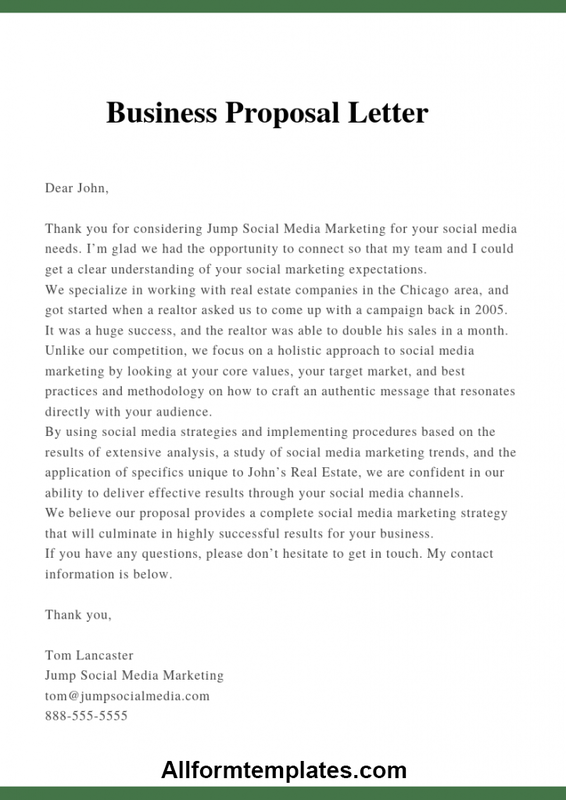 So here we are going to share with you examples of business proposal letter in PDF format. As you know, a business is never stagnant and constantly looks for ways to grow and diversify itself by collaborating with potential partners. So it is an important method of communicating or putting forward your startup goals in front of other parties. 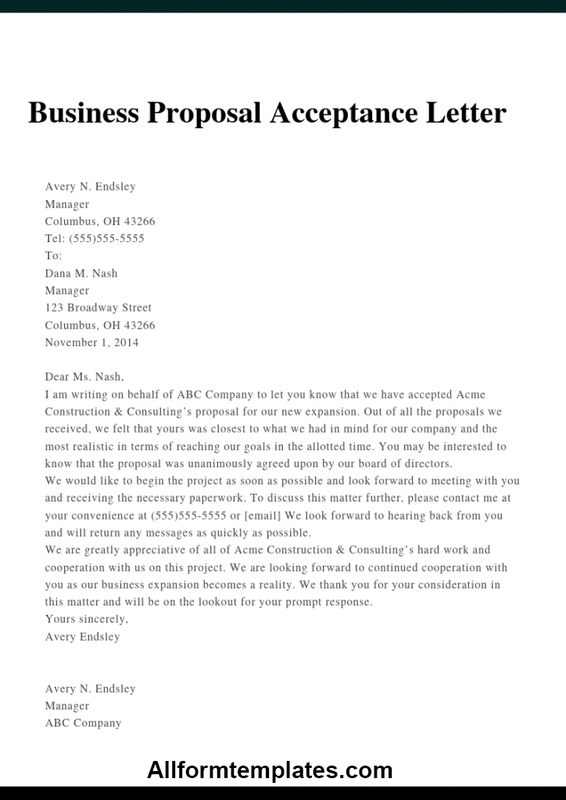 So here we shall be providing you with some examples of business proposal letters in PDF format. 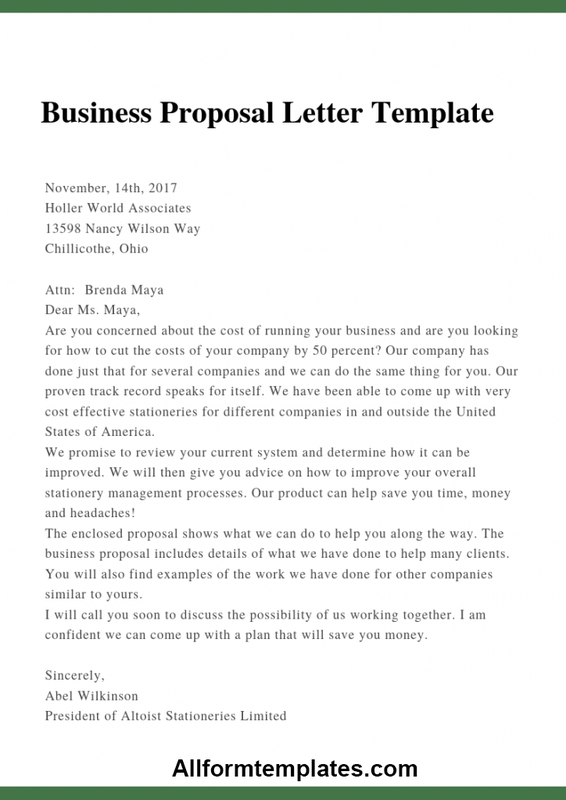 A business proposal letter is an official letter written by businesses to their potential clients that they are the perfect option for them for the product or service they are looking for. So it is very important to document in the corporate sector which enables businesses to sign deals with like-minded businesses and both benefit from the mutual growth. So here we have provided you with sample business proposal letter in PDF format. This can be downloaded and printed so you can use it as a reference to write your own business proposal letter. While writing a cover letter for your business proposal letter, make sure that you use compelling language and make your intent clear to the reader. You should mention your terms of the contract in a clear and concise manner. A well-worded proposal cover letter has the potential to influence the mind of the reader and increasing your chances of striking a deal with them. So to help you write the perfect proposal letter, we have provided you with an example in PDF format. You can download it by clicking on the link provided above. An intent letter for partnership is written when a company wants to collaborate with another company for a long term or short term project. So in a business proposal letter for partnership, you should be clear about the roles and responsibilities of the partner and clearly mention it in the letter. You should sound convincing in your letter that both you and your potential partner would grow from this collaboration and mutually benefit from it. Hence both can bring in their expertise and earn a profit in the long run. So if you want to write a good proposal letter for partnership, you can have a look at the template we have provided here. It will provide you with some useful tips as to how to write a perfect business proposal letter. You can also edit it according to your requirements and add details to create a business proposal letter for your potential partner.